The staff gave us a very nice tour of some of the rooms in the Palazzo and their history. The singers were great. Before each aria, the lady, Ms. Paola, gave us a chat on what the song was about and what the character was feeling. Very gracious and kind were the singers. A very nice song selection from Italian operas. A wonderful evening!! We have now been to three of this groups musical performances in unique historical places in Rome. If you are planning a Rome visit and are wondering what you will do in the evenings, after the other opportunities are closed, well here is your answer! These are wonderful performances by musicians and vocalist that will be long remembered after your Roman Holiday is over. Every performance leaves the audiences standing in appreciation of truly great entertainment. Check the schedule and try to book one of these performances, you will be thrilled. I am still wondering who the group was in front of us for this performance, Escorted in just prior to start. Formal military and Royal attire, sashes, medals, white gloves and escorts or security. Looked like an evening out for significant political or military visitors. Someone else must have thought this was a way to spend a great evening out in Rome. These events offer two choices, with or with out a dinner following. You're in Rome, live it up! Highly recommend. I was hooked for 50 minutes. Paolo Alonzo's singing of Puccini's O Mia Bambino Caro was exquisite. Paolo explained the context prior to each song. 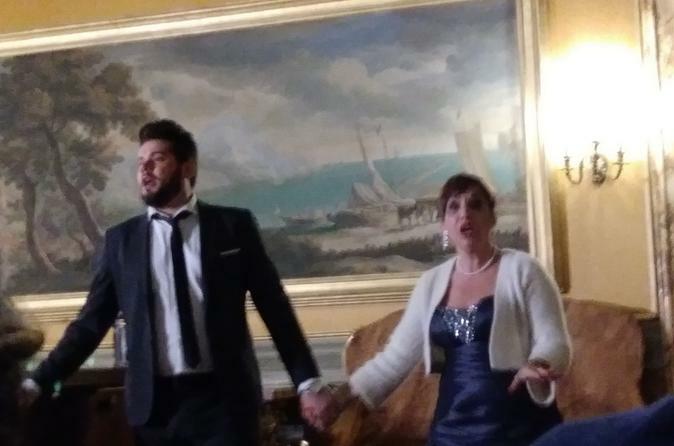 Both Paolo and Robert Cresca, the tenor, were dramatic enough for the audience to independently understand the emotion and thoughts being portrayed. Where else can you readily see and hear members of Rome's Opera? Liked the guided tour of the apartments. We followed up with a visit to see the rest of the Palace's extensive art collections, with a stop at the palace cafe. This is a must for couples. 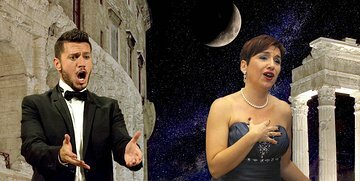 Palazzo Doria Pamphilj is the perfect setting for this lovely live concert of famous Italian arias and traditional songs. I loved the performance and the little introduction to each piece, it really helps dive into the experience. The guided tour of the Palace is really interesting: the rooms, the pottery, the family photos. It's all full of history and love.